What Makes a Best-Selling Book? Last night, I had a vivid dream about the “last unicorns” – it is a unique story, trust me; one you’ve never read before. While dreaming, I knew that once I get the story down on paper, I would have a bestseller on my hands. I also knew that I would might forget things if I didn’t take notes, so I woke up to write the plot down. I was golden. If you want to write a book and have it published by a reputable traditional publisher, then you need to demonstrate to an agent and publisher that your book will sell, and there is one very specific piece of information that you need to share in order to help prove your worth in terms of generating revenue. That one thing is different for nonfiction authors than it is for fiction authors, and of course, there are a lot of other aspects of your writing and experience that play into an agent or publisher’s decision to offer you a contract or not. However, that one thing still stands out as the most important thing you need to get published. Let’s take a look at that one thing for both fiction and nonfiction aspiring authors. For fiction writers, the most important thing you need to get an agent or publisher is a phenomenal story idea and manuscript. Your story needs to be well-written and fill a niche that is either untapped but could be extremely well received or add something to an existing, popular type of story. In other words, the most important thing to an agent or publisher is that your story is great and it can fit into a viable place in the market. For nonfiction writers, the most important thing you need to get an agent or publisher is a platform. Not only do you need to demonstrate that there is existing demand for the book you plan to write, but you also need to prove that the market isn’t already saturated with books on the same topic. You need to show in your proposal that you’re bringing something extra to the table that will motivate people to buy your book rather than all the others on the shelf in a bookstore. However, all of that ‘s secondary to your platform. Agents and publishers need to believe that you have the ability to reach large audiences in order to sell your book. Much of the success of book sales is in the hands of the author who needs to get in front of people and try to convince people that they need to read the author’s book. The first thing an agent or publisher looks for when a nonfiction query and proposal lands on their desk is the writer’s platform. Who is this person and do they have the ability to reach large audiences of people to help sell their book? If you can prove your ability to reach large audiences and move copies of your book and that there is room in the market for your book, then you have a much better chance of selling your manuscript than a nonfiction writer with a great idea but no platform to support it. Bottom-line, fiction writing is about the story, and nonfiction writing is about the platform. Yes, there is more to it than that, but without those critical elements, you’ll have a very difficult time finding an agent or traditional publisher who wants to work with you. Fortunately, both of those things can be improved with research, effort, learning, and time. Book Writing and Publishing FAQ – What Should the Title of My Book Be? You have an idea for a great book or you’ve already written your manuscript and need to create the perfect title. That title needs to appropriately convey the tone of your book but also catch the attention of a literary agent, publisher and readers. That’s a tall order! My best advice when it comes to choosing a title for your book is this — don’t let it stress you out completely. The reason is simple — no matter what you name your book in your manuscript, the publisher has the last word on what the title will be, and that final word comes from multiple meetings with many different people on the publisher’s side. There are a lot of cooks involved in stirring the pot when it comes to determining a book’s title! If you’re not already a popular author, you can try to fight against a title suggested by a publisher, but you might not win. Consider this — Stephenie Meyer’s original title for Twilight was Forks, which was changed by the publisher, and the U.S. publisher of the first book in the Harry Potter series by J.K. Rowling (Scholastic) changed the title from the one used in the original English version of the book published by Bloomsbury. 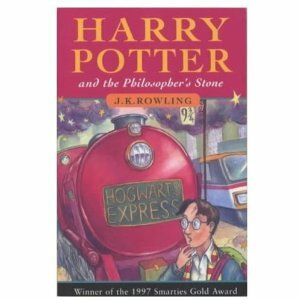 In the United States, Harry Potter and the Philosopher’s Stone became Harry Potter and the Sorcerer’s Stone. Bottom-line, don’t get too attached to your book’s title. Ask friends, family, and other writers for their opinions on your possible manuscript titles and aim to get the right kind of attention from agents and publishers with the title you choose. However, don’t be surprised if that title doesn’t end up on your book’s printed cover. Remember, it’s the content of your manuscript (and your platform if you’re a nonfiction writer), not the title that will seal the deal with a publisher, but the title can help draw attention. Therefore, don’t ignore it, but don’t drive yourself crazy over it either. Click to read more in the Book Writing and Publishing FAQ Series. Last week, I wrote about how long nonfiction books should be in the Book Writing and Publishing FAQ series. Today, I’m going to tackle fiction. Before I dive in, I want to remind you that there are exceptions to every rule and the word counts provided here are simply suggested guidelines. In order to offer word count targets for your fiction book, you need to consider two things: your book’s genre and the current market trends. In other words, there are acceptable word count targets for young adult fiction that are not the same as the word count targets for literary fiction. Similarly, audience preferences and publisher strategies change over time, so reviewing successful books in your genre that have been published recently can help you determine your word count target. With that said, let’s look at word counts! There are varied suggestions related to fiction word count based on who you ask, so I thought it would be best to provide word count targets straight from the source — a literary agent. Colleen Lindsay is a member of the Penguin Group (USA) business development group and former literary agent. She writes a blog called The Swivet where she writes extensively about the book publishing industry. Recently, she published a post with current word count “rules of thumb” that you can use as a guideline while writing your fiction manuscript. You can read her complete post here, which includes a lot more details and suggestions than the word counts provided below. Mysteries, thrillers and crime fiction: 90k to 100k, but light paranormal mysteries and hobby mysteries are shorter at 75k to 90k, and historical mysteries and noir are 80k to 100k. Literary fiction: As high as 120k but trends make even short literary fiction (65k) acceptable. Again, the word counts above are strictly guidelines. Authors like J.K. Rowling prove that an agent and publisher will accept longer manuscripts for an exceptional book, and certainly, word count typically lengthens in sequels. However, if you want an agent or publisher to even bother looking at your query, stick to the word counts suggested above! A very common question among aspiring writers is related to how much they actually need to write before their nonfiction manuscript can be considered complete. In other words, how long should a nonfiction book be? Unfortunately, there is not a simple answer to that question. However, the reason is simple — the publisher usually determines the word count that they want for a nonfiction book. The publisher determines this number by weighing production costs against projected sales numbers. The publisher also reviews the competitive market to see what else is already available and how those books are selling. In other words, there are a lot of factors that publishers use to choose a word count for a nonfiction book. The vast majority of nonfiction authors do not choose their word count. Instead, they write for the word count dictated by the publisher in the writer’s contract. So what’s an aspiring nonfiction writer with dreams of snagging a contract with a traditional commercial publisher to do? As you learned in a previous Book Writing and Publishing FAQ article, it is not often necessary to write a nonfiction book before you submit your proposal to literary agents and publishers that accept direct submissions. You can read more about that by following the link to “Do I Need to Write My Book First?” However, you do need a few sample chapters and a detailed, annotated table of contents to either accompany your proposal or be provided to agents and publishers upon request. If you do want to write your nonfiction book before you solicit agents and publishers, be prepared to have to make major changes to it once the publisher offers you a contract. Unless you have a very solid platform (meaning you’re famous or a corporate executive or other well-known figure), you’ll probably be asked to work with an editor to make the table of contents and the content you’ve already written match the publisher’s expectations. If you still want to write your nonfiction book before you retain an agent or publisher, word count can vary greatly, but a good target for a business nonfiction book is 70,000-80,000 words. That should give you about 200-250 pages in a final manuscript. Of course, depending on the publisher, book sizes, font choices, and so on can vary, which means word count can vary, too. Furthermore, if your book includes images, they have to be factored into the word count. In other words, each of those images take up space and should be included as part of your word count (not added on top of your word count). Again, there is no rule for nonfiction manuscript length, but the word count given above can give you an idea of how long a nonfiction book might be. Think of it this way — the longer the book is, the more it costs to print. Therefore, the price tag has to go up. Publishers have to try to predict the sweet spot between length and price to maximize sales. Book Writing and Publishing FAQ – What Types of Publishing Options Are Available to Me? After reading Robin’s great post last week about writing ebooks and publishing my comparison of traditional vs. self-publishing, I wanted to take a step back to further explain the types of publishers that are available to aspiring book writers. Bottom-line, I don’t want anyone to be confused about the options available to them to get their manuscripts turned into books. There are three primary types of book publishing — commercial publishers, vanity publishers, and self publishing. Each type is described in more detail below. Keep in mind, the descriptions below are generalized, and of course, there are exceptions to every rule. Commercial publishers (sometimes referred to as traditional publishers) are at the top of the publishing food chain. These publishers pay writers an advance to write a book as well as royalties on sales of the book. They handle editing, marketing, printing, distribution, cover design, and so on. Some commercial publishers leave the copyright of the work in the writer’s name while others hold the copyright. Commercial publishers ensure your book is available through Amazon.com and other online and offline booksellers, and provide the writer with a supply of author copies as well as a discount on additional copies. Commercial publishers include well-known companies like Macmillan, McGraw-Hill, Wiley, and so on as well as many smaller publishers. 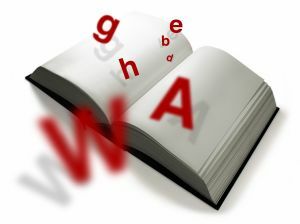 Writers are not required to pay fees of any kind to work with a commercial publisher. Vanity publishers may or may not be print-on-demand publishers (meaning they print copies of your book as they are ordered). With a vanity publisher, you cover all of the actual expenses to print and distribute your boos, and those books may or may not be available through major booksellers. Furthermore, vanity publishers may or may not leave the book’s copyright in the author’s name, and they may or may not offer editing, cover design and other services for a fee. Vanity publishers also take a percentage of sales earnings to cover their overhead and other management expenses. When your book is published through a vanity publisher, it may or may not be distributed to major booksellers such as Amazon.com but it’s unlikely to get the level of widespread distribution that a book published through a commercial publisher can get. The majority of vanity publishers are not very particular when it comes to choosing books to print that are submitted to them. There are many reputable vanity publishers (many romance novels are published by vanity publishers) out there, but unfortunately, there are also many dishonest vanity publishers. Avoid vanity publishers that don’t disclose fees up front, instead presenting themselves as your “partner” or labeling their service as a “joint venture” or “co-op” because those descriptors are often used to make fees sound more palatable. When you self publish a book, you retain all control (including copyrights) and pay all expenses. You must find a company to print and bind your book, create the cover design, ship it, and so on. There are some print-on-demand services that can help writers self-publish and sell their books (such as Lulu.com) by providing the equipment and technology to do so in return for a percentage of sales. It might also be possible for you to have your book listed on Amazon.com when you self-publish, but getting it into other book stores is unlikely. There are pros and cons to each form of publishing, and each writer must decide for himself which option will best help him meet his goals. The important thing is to understand the differences between publisher models and know what to look for, particularly if you’re choosing to go the vanity publishing route. How much should writers charge to write a book for a client? There are a few things to consider in order to know what the going rate is to write a book. Your platform — meaning how well you can prove to the publisher that you can sell a lot of copies of your book through your extensive connections. Your experience — have you authored a book before? How well did it sell? The publisher’s offer to you will be higher if you have a track record of selling books. The market for the book — publishers evaluate the potential sales of a book and adjust payments to authors based on expected sales performance. A publisher that picks up a book from a new author could offer an advance anywhere from $5,000 and up. The “and up” part depends very much on the three factors listed above. It’s up to the writer to determine if the secondary opportunities that being published through a major publisher provides is worth the amount of time vs. the payment. What if the book is to be written for a client that will self-publish or try to sell to publishers? In these situations, you may or may not get a byline as the author. How much should you charge? It depends on the amount of time it will take you to write the book and whether or not the client agrees to give you a percentage of sales earnings. If the book is about a topic you know well and would not require a lot of research, then you can write it faster than a book that would require a lot of research. If you can reduce the number/extent of edits that you’re willing to make, that will also reduce the amount of time it takes you to write the book. The desired word count also affects how much you should charge. So what should you charge to write a book for an independent client? A safe place to start is $0.10 per word. That’s fairly competitive with the rate that most work-for-hire publishing contracts offer (meaning an advance is paid to the author but no royalties). For example, for a 70,000 word manuscript, you can charge $7,000. Just be sure to include a clause in your contract that limits the editing process so you don’t end up spending too much time editing again and again. Also, book writing is a situation where you should definitely require a deposit, a payment at 50% completion, and another payment upon submission of the final manuscript. Alternately, you could charge upon signing the contract and at the 25%, 50%, 75% and 100% completion stages. Splitting payment up is common even among major publishers. It’s a good idea to include a clause in the contract that states the next stage of writing won’t begin until payment on the prior stage is received. This helps ensure an independent client pays you before you invest too much time in the project. I hope this helps. Of course, it’s important to evaluate each opportunity independently to determine whether it can help you in more ways than just money. Depending on the opportunity, you might want to charge more or less. The $0.10 per word recommendation is a guideline but not a strict rule. Many aspiring authors are confused about whether or not they need a literary agent in order to get their books published. The short answer to this question is no, you don’t have to have a literary agent to get a publishing contract. However, it’s not necessarily that simple. This post helps you understand the pros and cons of having a literary agent, so you can determine whether or not you want to try to secure an agent before you try to sell your book to a publisher. There are two primary benefits to having a literary agent represent you in trying to sell your book to a publisher — access and knowledge. Let me explain both in more detail. First, established literary agents have relationships with acquisitions editors at a variety of large and small publishing houses. They know the right publishers for your book and the right person to contact at each publishing house to present your proposal. When they send a message or reach out to an acquisitions editor, that editor knows who the agent is. Having that kind of access to the right people can work wonders in terms of not only getting your proposal in the right hands but getting the right person to actually look at it. Publishers receive a huge number of manuscript solicitations each day, and yours has a chance at standing out if it’s coming from an agent that is known and respected for delivering great work. Second, experienced literary agents help their clients polish their proposals to ensure they have the greatest chance at catching an acquisition editor’s eyes. Keep in mind, if an acquisitions editor likes your book idea, you’ve only crossed one path in the process of selling your book to a publisher. That editor typically has to present the proposal to his or her superiors and sell it to those decision makers. He or she has to prove that your book will sell and help the publisher make money. A good literary agent can point you in the right direction in terms of creating a proposal that will help that editor get the job done and seal the deal. It’s also important to understand that good literary agents know who their writers are and are always looking for new opportunities for those writers. The best literary agents are actively involved in the publishing world and have relationships with the right people at large and small publishing houses to receive requests for authors, which that agent can then match up with his or her authors. For example, I’m in the process of writing my eighth nonfiction book. Two of those books were my own ideas. Two of those books came to me by way of publishers who found me online and contacted me directly, and two more came as the result of one of those publisher relationships. The other two books came to me by way of my literary agent who received messages from publishers asking for an author to write a book about a specific subject, which he brought to me. Once you have a relationship with a literary agent, you can bounce ideas off of him or her to get feedback before you invest too much time into a book concept that needs to be tweaked or abandoned altogether. When you do have a concept that the agent believes can be sold, that agent can get it in front of the right people at dozens of publishing houses within minutes. Finally, an experienced literary agent knows the publishing business. He or she knows what to ask for in negotiations and knows what to look for in contracts to ensure your contract is not unusual. Good literary agents can also refer publishers to prior deals to ensure you’re getting at least comparable contract terms. The negatives to having a literary agent are primarily related to money. A literary agent has to get paid for the knowledge and access he or she gives to clients. Therefore, most agents earn at least 15% of the royalties an author makes. Those rates might be higher on foreign rights contracts. Many writers don’t want to give up that 15% believing they can sell their books to publishers or simply self-publish. There is some weight to that argument. There are some publishers that accept unsolicited submissions, meaning you can send your proposal directly to the publisher without needing an agent to represent you. Self-publishing is also an option open to all writers (you can follow the link to read about the pros and cons of self-publishing vs. traditional publishing). However, your proposal is more likely to get noticed by a publisher if it’s submitted by a known literary agent. There are also many publishing houses that do not accept submissions directly from writers. 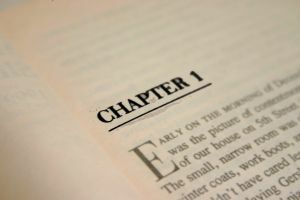 Therefore, even though you can keep all of your earnings when you don’t use a literary agent, your book is less likely to get picked up by a large publishing house (although not impossible), and if you self-publish it’s likely to sell fewer copies than it would if a traditional publisher prints and distributes it. In other words, giving up 15% to a literary agent and having your book published through a traditional publishing house usually means more copies of your book are sold than self-publishing provides. That means, your earnings with an agent and traditional publisher are probably going to be more than self-publishing could deliver. Finally, if you are fortunate enough to secure a publishing contract with a traditional publisher without the use of an agent, you’ll be on your own in terms of negotiating payment and ensuring the legalese in the contract matches typical publishing contracts. Each aspiring author has to make his or her own decision as to whether or not he or she wants to try to secure a literary agent or forge ahead on their own. Just review the pros and cons listed above before you make your final decision to ensure you’re following the path that is best for you and will help you reach your goals. Click here to read more articles in the Book Writing and Publishing FAQ series.